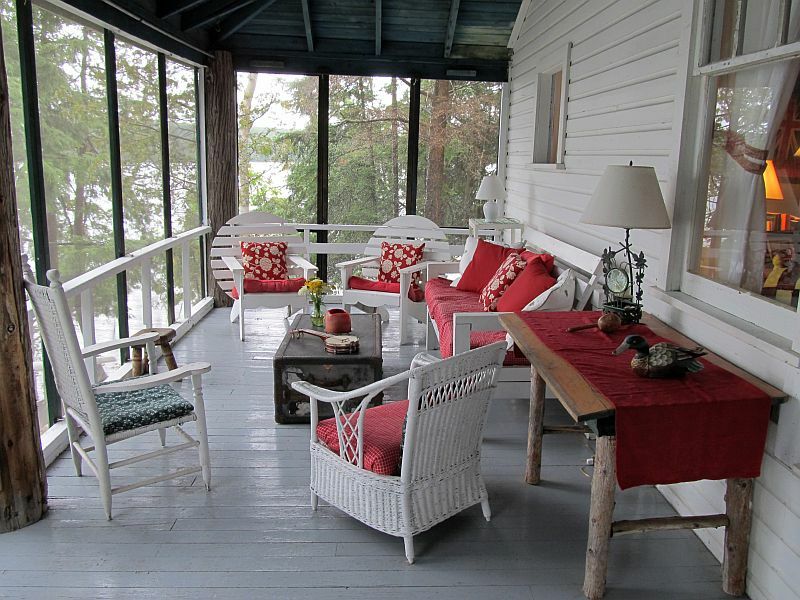 Steeped in history, this cottage was originally built in 1908, and sits on the shores of Peninsula Lake. 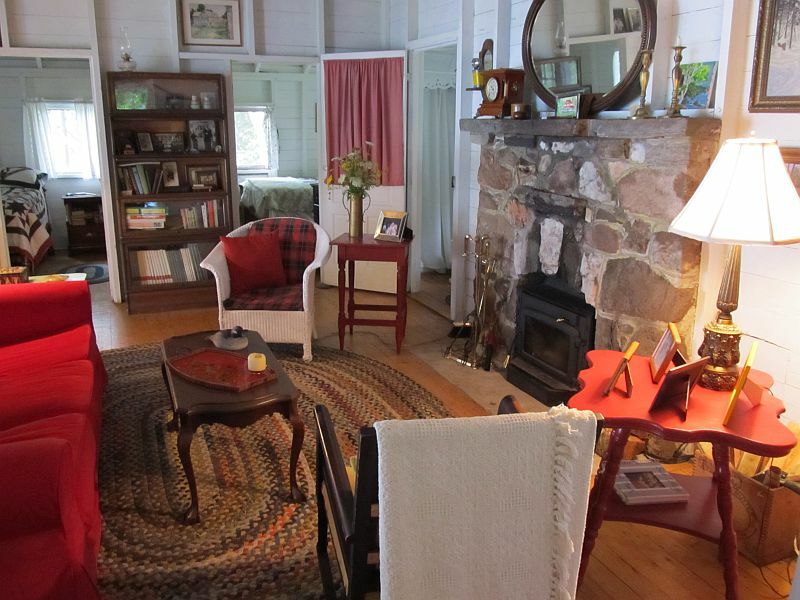 If the walls could talk they would tell stories of a time when loggers used the cottage 100 years ago, or when families would arrive by steamship to the cottage for the summer! 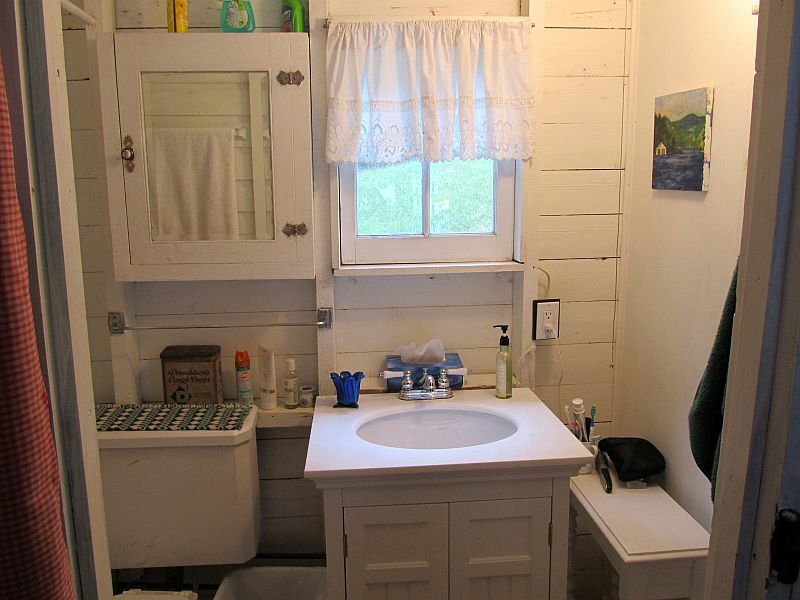 Point of View is what old-fashioned cottaging is all about. The cottage is nicely decorated with antiques and rustic furniture preserving its original feeling of comfort and antiquity. Throughout the cottage the hardwood flooring remains keeping its unique old style, and preserving the great history in this cottage. 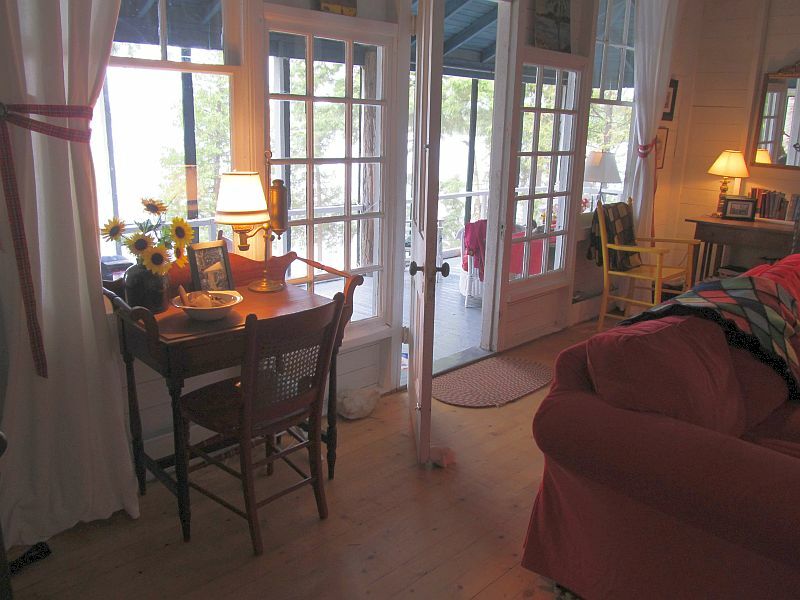 Many of the windows throughout the cottage are trimmed in stained glass from a church of yester years. 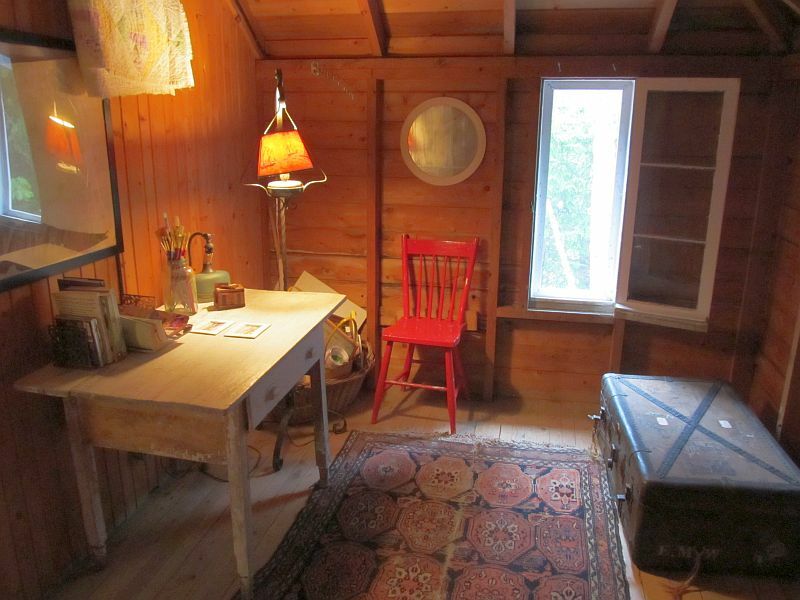 The living room has a stone wood-burning fireplace and seating for five; a small reading area is tucked off to the side. 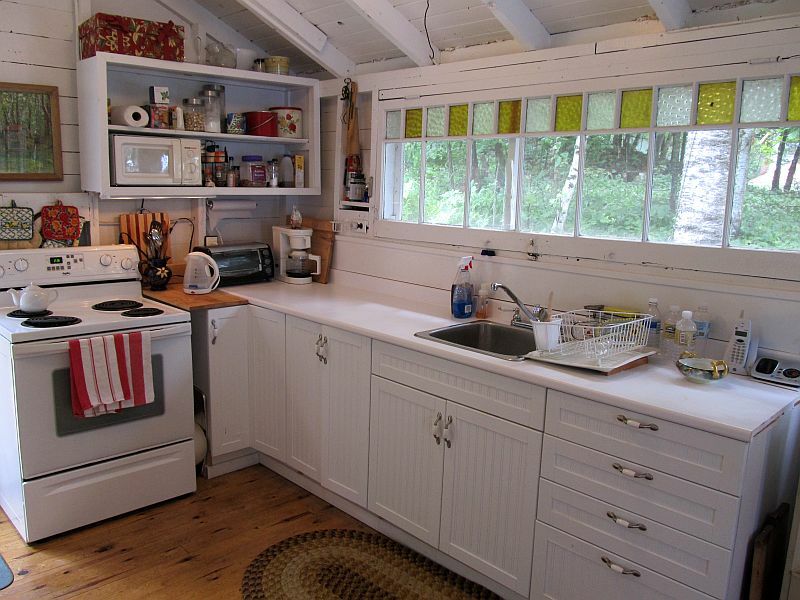 The kitchen area is spacious and well equipped with fridge and stove, microwave and plenty of counter space. There is a dining table for six where you can enjoy dinner on cooler evenings. 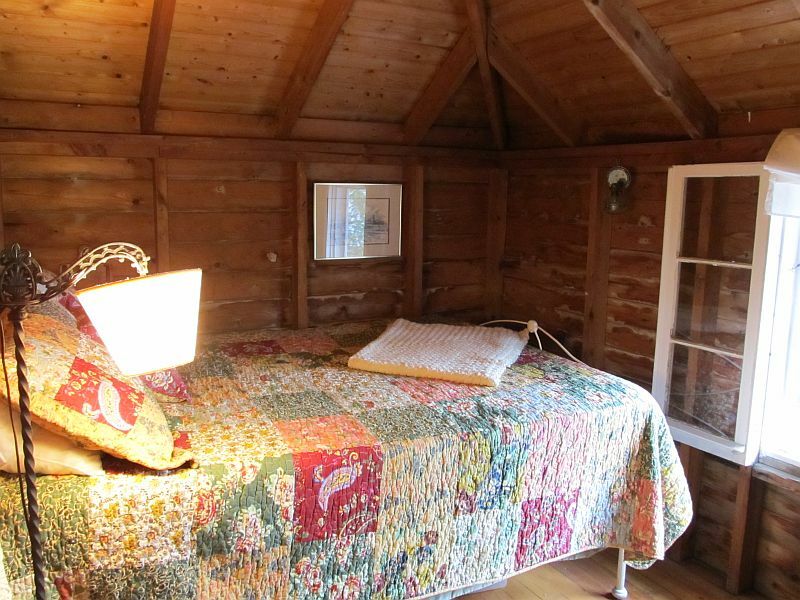 On the main level you will also find a bedroom with a queen bed and a three-piece bathroom. 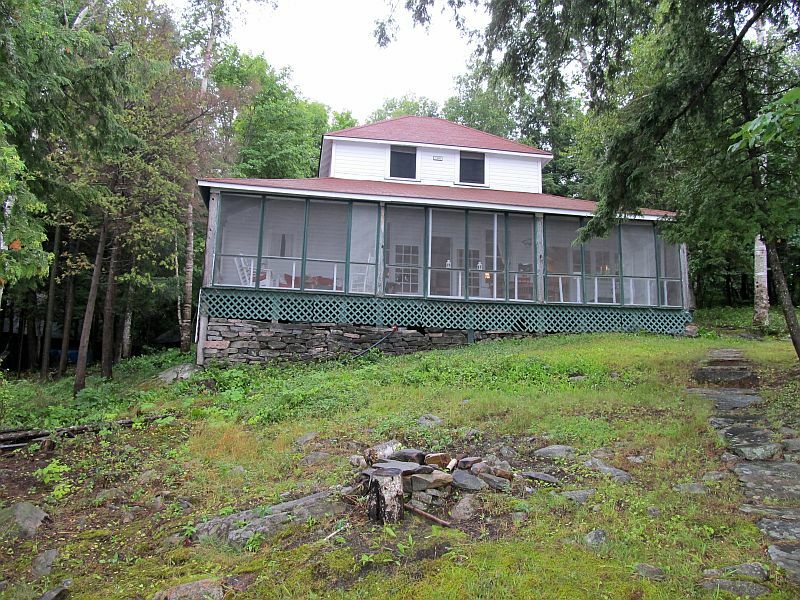 Stretching across the front of the cottage is a large screened-in porch with lots of seating and a table for enjoying a meal. It will quickly become the favourite spot to relax at the end of another adventure-packed day. Follow the stairs up to a landing where there are some lovely antiques. The upper level has three bedrooms that do not have doors, but rather curtains to provide some privacy. The walls do not go all the way up to the ceilings; allowing air to flow freely on hot summer days. 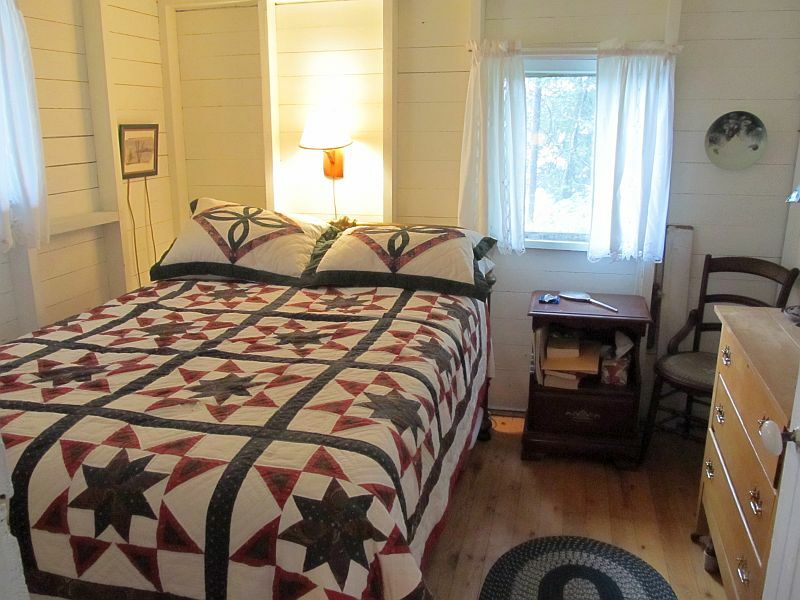 Two of the bedrooms have a double bed each, and the third bedroom has a single bed. 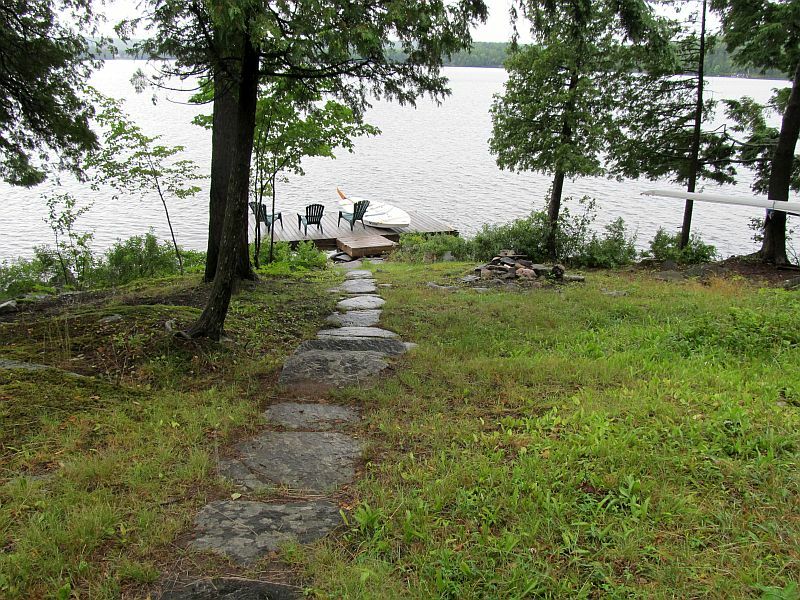 Outside the natural stair path leads down to the waterfront, where swimming is best enjoyed from the dock. The water is only two-to– three feet deep and is very rocky. 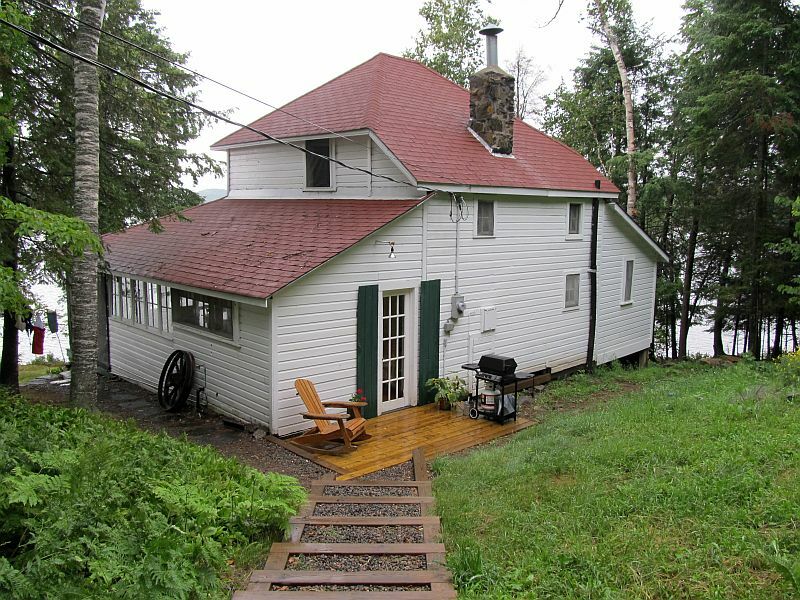 The waterfront is fairly private as you can only see one other cottage. The fishing is excellent for bass, pike, perch, sunfish and lake trout. A boaters’ paradise, Peninsula Lake connects to Lake Vernon; and there is a lock system to access Mary Lake or head right into Huntsville to dock at one of the many restaurants on the water. Bring your own boat or arrange to rent one at a local marina. A firepit near the lake is great for roasting marshmallows and barbequing hotdogs under a starlight night. For larger families why not look at booking Pennfield Point as well. 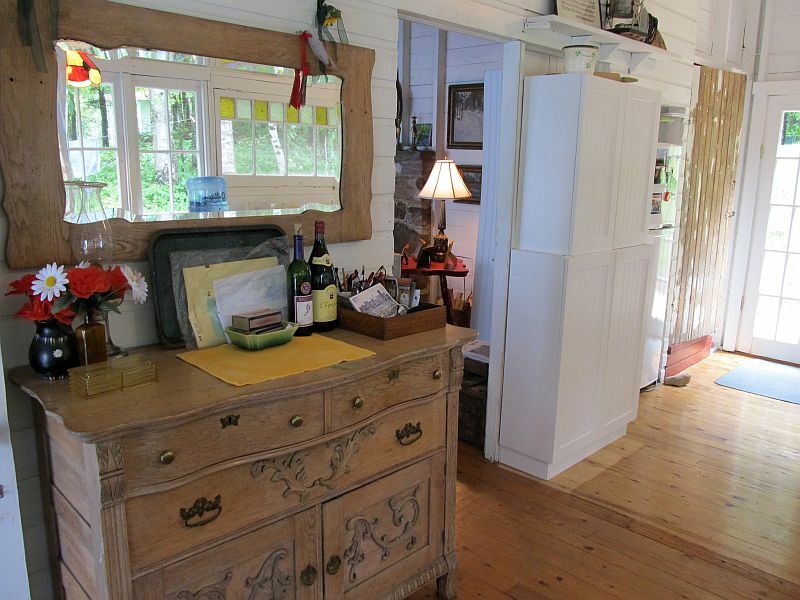 These two cottages are side-by-side and work well for two families. The bustling town of Huntsville is close by and offers good restaurants, live theatre, and a quaint downtown for shopping. Algonquin Park offers many trails to hike, or perhaps even catch a glimpse of some wildlife. $1,955 per week during high-season(High-Season includes Family Day Week, Victoria Day long weekend, March Break, the last full week of June to Labour Day Monday, Thanksgiving, as well as the week of Christmas and New Year’s ). 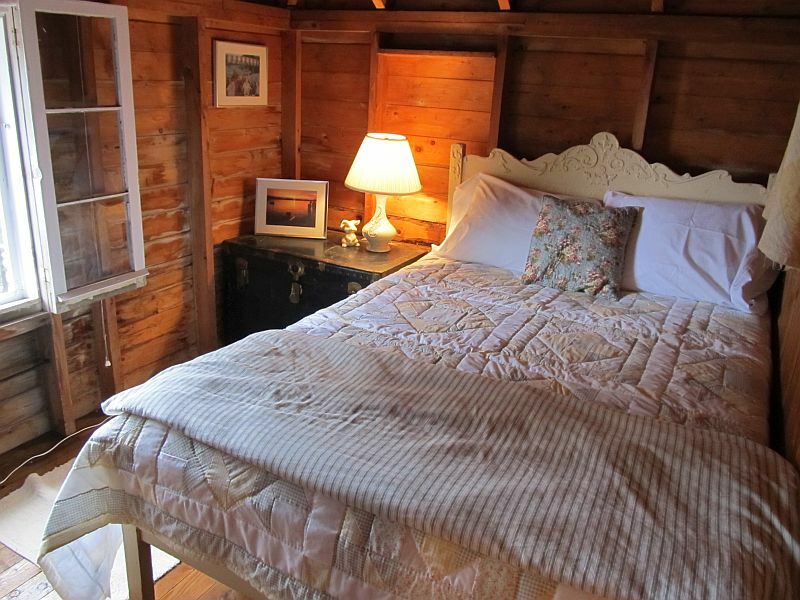 $326 per night during holiday weekends in off-season (minimum 3 nights).